Overlooking at the Old Town. As some of you might know already, a few weekends ago I travelled to EDINBURGH or (ED-IN-BUR-AH) as the Scottish say. Ahh, isn’t it great to hear so many different accents? I love it! Anyway, just in case you didn’t know, Edinburgh is the capital and second largest city in Scotland, after GLASGOW. Unlike many other places I have been to, before going to Edinburgh I had no expectations at all. I thought this would just be one more place to be added to my “Been there, done that list.” Little did I know that this would be one of my favorite European cities! Edinburgh was one of a kind. I feel as though this city is UNDERRATED because it’s rare to hear tourists say, “I went to Edinburgh, Scotland.” Well, at least I can say that! When most people travel to Europe, they only visit those places that the media portray as beautiful. At least that’s what I see in the Western hemisphere. 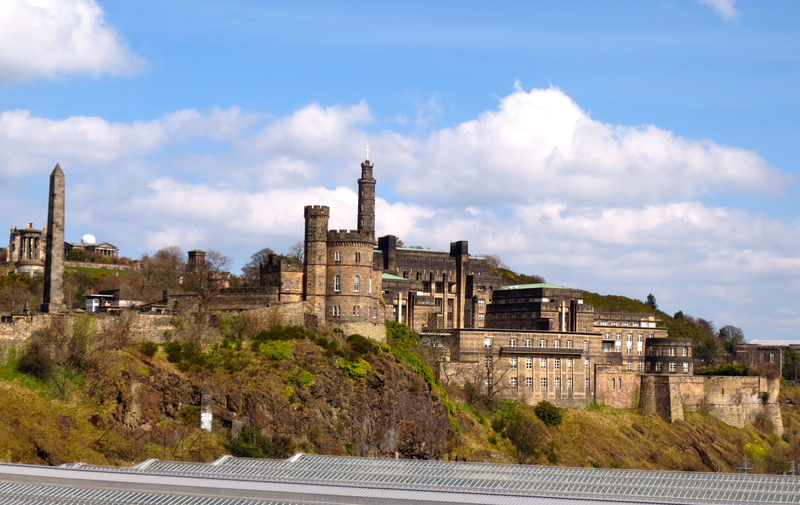 When I arrived to the city centre of Edinburgh, I was speechless. I could not believe how BEAUTIFUL this city was. I immediately got my camera out and started recording and taking pictures because I was not sure if words could explain to my family and friends how beautiful this place was. I think that the one thing that made me fall in love with this city was the medieval-looking infrastructure… Oh My God, I had never seen something like it before! 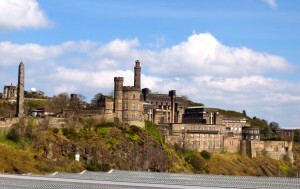 Edinburgh is divided into two towns; the New Town and Old Town. The new town is where the administrative decisions take place. It was built in the mid 18th century, and it still keeps its neo-classical architecture. The old town is the oldest town in Scotland, and it preserved its medieval architecture: its castle, palace, royal mile, civic chambers, old houses, etc. Everything is so close together that you can overlook the new town from the old town. There is only one bridge that separates one from the other, and it takes about 15 minutes to walk through. 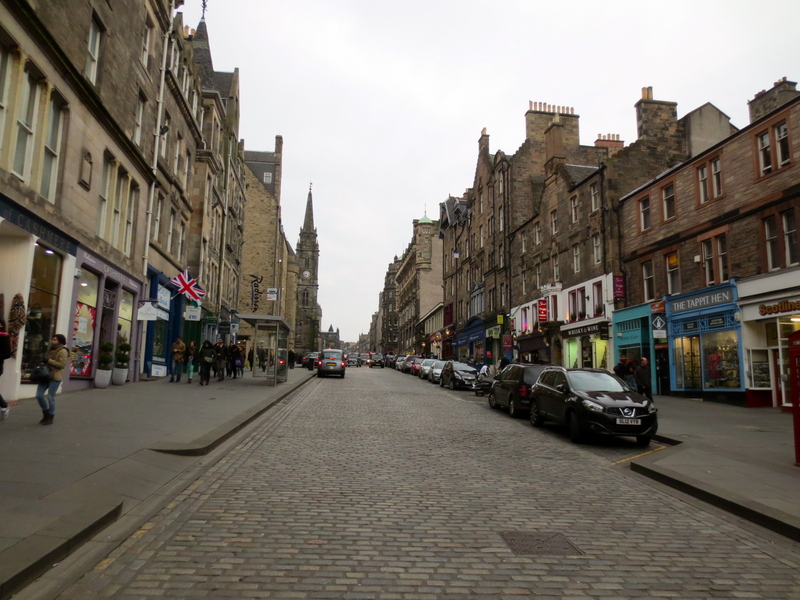 When I was in Edinburgh, I felt like I was in another world… it’s a feeling that I can’t describe. It was quite an incredible experience walking through the the old town and seeing all the medieval architecture. The Royal Mile was one of my favorites. This place is composed of only pedestrian streets with a lot of old buildings. Even business around this area are medieval-looking buildings. Lets just say that this did not end up very well because it took me forever to find a restaurant around this area to get dinner! I also enjoyed seeing the Edinburgh Castle and Arthur’s Seat (peak of a mountain) from literally every corner of the city, this was just gorgeous. Also, overlooking from one town to another was priceless. This city’s scenery is beautiful. What helped it even more was the fact that during my stay there, it was really sunny and beautiful. I really wanted to change my return ticket and skip a whole week of school to stay there! Oh boy, was this place beautiful! The Scottish traditional music playing in the background, the men wearing kilts (a traditional Scottish skirt), the smell of its traditional food, its old and new town, and the medieval feeling are among the things that differentiates this city from the rest. Oh, and before I forget, I also went to Portobello Beach! 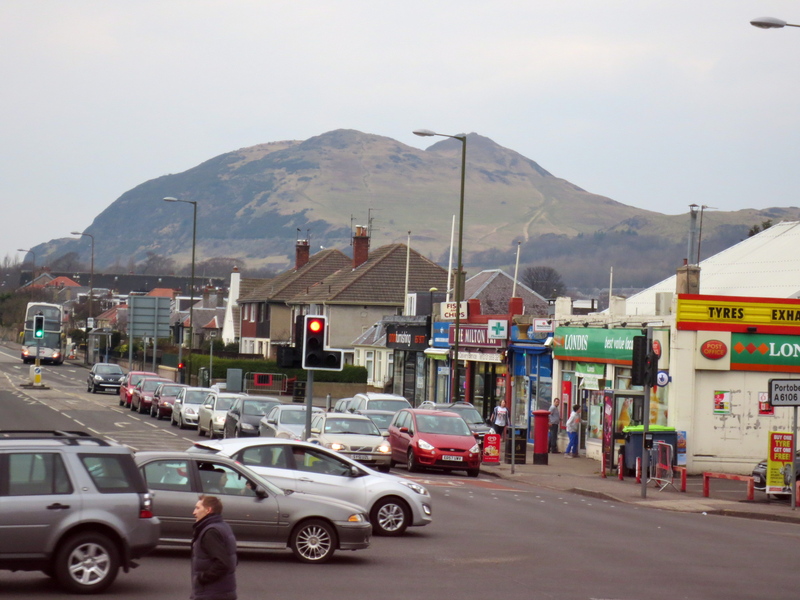 Portobello was only 25 minutes away from the city centre by bus. 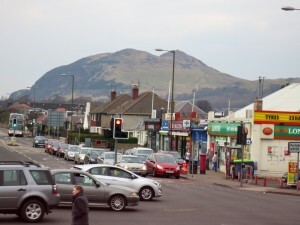 I am looking forward to coming back to this place one summer because Portobello is a very nice looking beach-town. I was so mad I could not get in the beach… ughh, that’s why I hate winter! 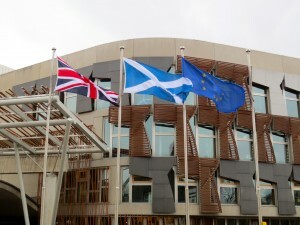 The Scottish Parliament: featuring the flags of England, Scotland, and the European Union. I would strongly recommend anyone to visit Edinburgh. In Edinburgh, you will surely note the difference. In my case, I was tired of seeing modern cities, skyscrapers, and all that, so I decided to do something new. I would visit Edinburgh one hundred times more and I would still love to go back again! If you ever come across visiting Scotland, you might want to go to Glasgow. When I was in Scotland, I spent one day in Glasgow, and I loved it. I named it “the Bridge City” because I saw more bridges than anything else. When the bridges light up at night, it is a breath-taking scene. Scotland is just gorgeous in every single way!